Home » News » Slaven Bilic Must Grant Dimitri Payet His Wish to Maintain West Ham’s Steady Progression. How times have changed. Last season West Ham were the surprise package of the Premier League as Slaven Bilic in his debut campaign at the helm guided the club to an impressive 7th position in the League table which secured Europa League qualification. One man key to that success was French international attacking midfielder Dimitri Payet who joined the club from Marseille £10.75million pounds in June 2015. His dazzling performances, wonderful free-kicks and his skills set were a joy to watch for fans at Upton Park last season; he was rewarded with a new contract which would tie him down till 2021 in February 2016. Payet excelled in his first season at the club, scoring an impressive 12 goals in 38 appearances, even earning himself a nomination for the PFA Player’s Player of the Year Award. He even earned his long awaited first international call-up to the French national side last season after years of unfortunate rejection despite his brilliance for beloved club Marseille. The playmaker then ended the season with impressive performances for France at Euro 2016 including his stunning goal in the opening game of the tournament against Romania. Although, France did not run out winners of the Tournament, he was recognised for his performances at the competition. Dimitri Payet enjoyed a fruitful first season at West Ham. Just a year on, and Dimitri Payet finds himself left out of the squad which cruised to a 3-0 victory over relegation candidates Crystal Palace after Slaven Bilic openly stated in his pre-match press conference that Payet no longer wanted to play for the East London club. Sky Sources claimed Payet was the subject of a £19million bid from his former club Marseille this month which was rejected by the club. Slaven Bilic strongly stated that Dimitri Payet was not for sale and Sky Sports News HQ understands that the French international has been told to stay away from the first team until he improves his attitude. Slaven Bilic declares Dimitri Payet is not for sale. Let’s be honest, you’d love to keep your best players at the club and the signing of Payet back in 2015 was a signal of intent from West Ham who were to take a step in the right direction following the appointment of Slaven Bilic. However, if the Croatian coach wants to maintain that ambition and that desire to make West Ham one of the greats in English football again then he needs to grant Payet his wish. “Payet does not want to play for us”. That solitary sentence must have been in a dagger in the heart of Slaven Bilic and West Ham football club. After months of rife speculation regarding the players future, with Hammers co-chairman David Sullivan stating the player was worth £100m following rumoured interest from La Liga giants Real Madrid. Along with N’golo Kante, Payet was arguably the signing of last season with his mouth-watering displays, scoring nine goals and registering 12 assists, but recent events will leave a sour taste in the mouths of West Ham fans who held Payet so dear following his heroics last season. Dimitri Payet has been subject of a £19m bid from former club Marseille. While his influence on the field may have lessened somewhat in this his second season at the club, the players desire to leave the club has also raised questions of West Ham’s inability to secure top transfer targets. 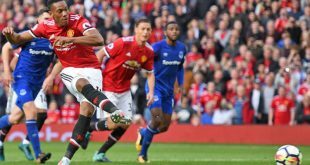 The Hammers were linked with a whole host of strikers last summer which included Zlatan Ibrahimovic, Alexandre Lacazette, Michy Batshuayi and Carlos Bacca, but failure to bring any of them in meant they had to resort to the signings of Simone Zaza and Jonathan Calleri who have both failed to set the club alight this season so far. The duo have already fallen out of favour and injuries to fellow new signing Andre Ayew did not helped West Ham’s cause either. Indeed, it is feasible to say that had West Ham secured a top striker last summer, they would not be where they are now in the Premier League standings – instead they would be sitting comfortably in the top-half of the table. Yes, the attitude of Payet could be damaging to the morale of the rest of the team, therefore he must be let loose but losing his quality would be a huge setback for Slaven Bilic – you could see why he is desperate to keep him. Payet has recorded more key passes than any other player across Europe’s top 5 leagues this season. While to some fans, he has not hit the creative heights of last season but along with Michail Antonio, Payet has still significantly improved West Ham in the final third this season and has remained crucial to their output, laying on six assists. Should West Ham sanction Payet’s departure from the club, it would leave a massive gap in the creative department. Yes, Michail Antonio is in incredible form and with Andy Carroll getting back to full fitness which his incredible acrobatic goal against Crystal Palace showed. But with Andre Ayew away on International duty, and with Lanzini trying to find his groove, you could almost see why Slaven Bilic is reluctant to see Payet leave the club. At his age, Payet probably feels he should be challenging for major honours rather than plying his trade for a club that’s struggling mid-table so far this season. Having come within touching distance of the European championship in the summer, its understandable that Payet might have a thirst for winner’s medals. 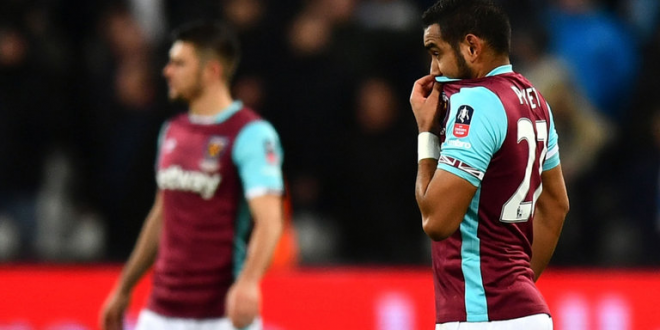 Nonetheless, the Hammers fans aren’t happy and if Payet carries on with this attitude and is forced to stay at the club, what harm will that cause to the dressing room? Sky sources reveal that West Ham and Marseille were in advanced talks but a second approach for Dimitri Payet by his former club has been rejected. Sources close to the East London club says that West Ham will not consider selling unless their £30m valuation is met. It certainly appears as though a player whose attitude has been called into question numerous times in the past is determined to jump ship when times are looking tough. West Ham might not be singing ‘We got Payet’ for much longer. According to Sky Sources, West Ham have rejected a second bid from Marseille for Dimitri Payet. Bilic must take the risk and cash in on his prized asset if he is refusing to play for the club.’The needs of the many outway the needs of the few.’ Bilic must place the needs of his whole squad at the top of his priority list if he wants to bring success back to the West Ham faithful.